TikTok is a new app for the United States. It was originally released in September of 2016 in China, and it has finally made it all the way to the US. The app is targeted for younger generations, which means parents probably never heard of it before. However, for children of different ages, TikTok has already become a habit. However, according to online security experts, the app should only be accessed at 16+. 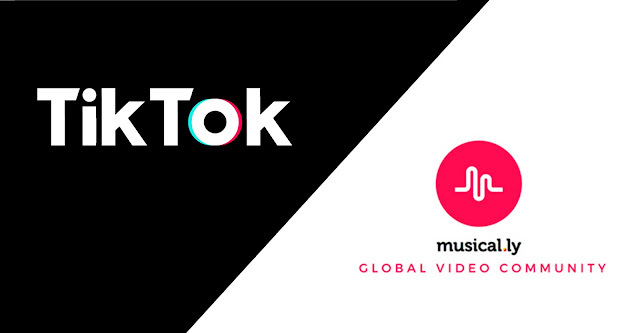 TikTok has recently become the world’s most downloaded app, however, it has been launched in the United States only since August 2, when ByteDance purchased musical.ly and merged it with TikTok The app already had popularity in Eastern Asian countries way before reaching the US. Since the China-based company purchased musical.ly, the users of musical.ly did not have to create new accounts, the accounts were simply transferred to TikTok. TikTok has over 500 million users, which create short music videos using the provided special effects and stickers to help their videos come to life. An Information Security Specialist, Rick Floyd, talk to students and their parents about online dangers at the Greenville County School District. Apps are usually not an issue that he is concerned about, or even considers them dangerous. However, after many children informed him about having TikTok on their phones, his concerns began to grow. "Every class for the last couple of weeks that I spoke to, 3rd, 4th, and 5th grade, they're bringing it up, they're aware of TikTok, Parents on the other hand when I've spoken to them, they have no idea what it is," stated Floyd. Floyd stated that the main issue with this application is not the exposure to inappropriate content or swear words. The main issue is the fact that the children are exposed to the whole world. The app acts as a social media platform as well, which puts children in danger because of phishing and other potential threats. "They try to convince me to do it with them and I say 'no'," said Regan Bishop, a 4th grader at Plain Elementary in Simpsonville. Floyd has been talking to students at Plain Elementary, and many of them claim that they have already been targeted or exposed to such threats. "One person sent me a friend request one time, and I joined them and it ended up being a complete stranger who just tried to get me to tell them my information but I just left the game," said Sami Garhat. However, what keeps Floyd content, is how much his talks to the students are helping them. Garhat went on to say "when I was in 3rd grade at Plain Elementary, Mr. Floyd he came and talked to us about it so I'm really thankful that he did that cause if not I probably wouldn't be here right now." TikTok, although popular and insanely addictive, can pose as a threat to younger children as well as to teenagers. You have to be very careful with what you post online as once it’s up, there will always be a trace of it. Read more about TikTok popularity at freetiktok.com and find out why this app is absolutely secure and safe for teenagers.